This could be a really beautiful property, with a couple of nice building sites. The pond is low right now, and there are some broken and dead trees because of the tornados a couple of years back, but it should clean up nicely! It is fenced all the way around perimeter and has FM 934 on Easternmost side, and HCR 1446 on Northernmost and Westernmost sides. 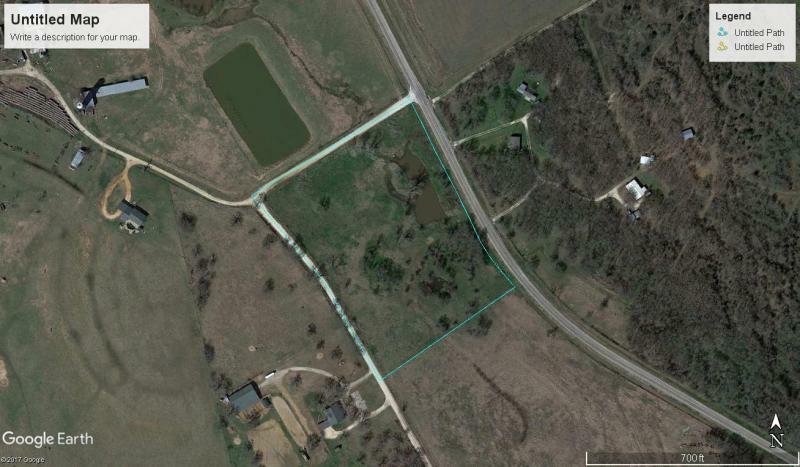 Seller would contemplate going up to ten acres for the right and additional price. It would be Buyers responsibility to move fence, to acquire electricity and water meter and a new survey from the most recent one that shows entire 32 acres. Property will be restricted to no mobiles, no salvage yards, no swine and for site-built homes only. Seller does not own all of the mineral rights, but will reserve what they do own.